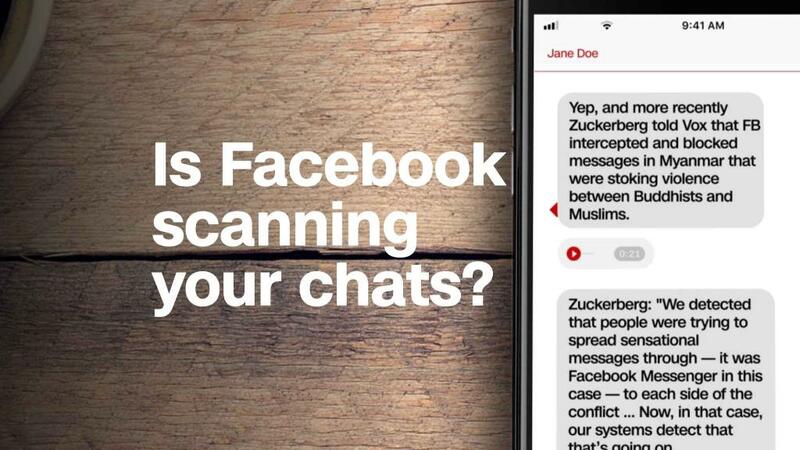 Is Facebook scanning your chats? "As part of this process we will also tell people if their information may have been improperly shared with Cambridge Analytica," the company said last week. Facebook users will also have the opportunity to use the link to delete apps and prevent them from collecting more information. Fierce backlash has confronted the company since news broke last month that Cambridge Analytica, a London-based voter analytics group, was able to obtain information about tens of millions of users. The controversy has renewed questions about whether the world's largest social media platform does enough to protect the sensitive information it collects from users on its platform. The data Cambridge Analytica obtained was originally collected by University of Cambridge psychology professor Aleksandr Kogan. He used an app, called "thisisyourdigitallife," which offered a personality test. Facebook users who downloaded the app also gave it permission to collect data on their location, their friends and content they had "liked." The data collection was all completely allowable under Facebook's rules at the time. Facebook has said that Kogan violated its terms of service by passing the information on to Cambridge Analytica, a firm that was later hired to work on President Donald Trump's campaign in 2016. Facebook banned Kogan and Cambridge Analytica from its platform last month, just before The New York Times published an investigative piece detailing how the data traded hands. As the controversy swelled, members have used the "download a copy of your Facebook data" feature to get a glimpse of exactly what information the social network has about its users. Many were rattled to find years worth of private texts traded on the platform's Messenger feature, code for recognizing faces in photographs, and contact information that people thought was tucked away on their cell phones. Also ahead this week: CEO Mark Zuckerberg will face a grilling from Congress on Tuesday to discuss the data controversy. —CNN's Charles Riley and Sara Ashley O'Brien contributed to this report.